01 FFL Licensed gunsmiths specializing in complete Saiga 12, and Vepr 12 high performance work. Lone Star Arms custom built 12 gauge shotguns are among highest quality, fastest, and most reliable high performance shotguns available anywhere. 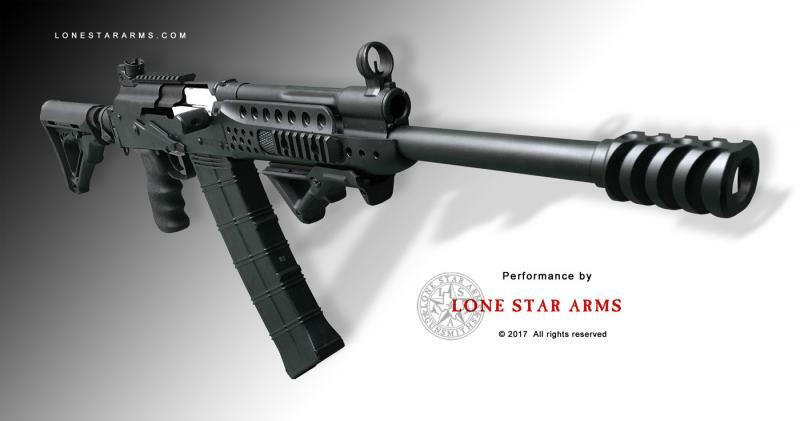 Each Lone Star Arms Saiga 12, and Vepr 12 high peformance shotgun build is taken down to the barrel and receiver, and rebuilt, with each OEM part and 922r component individually refined, honed, tuned, and balanced to create unparalleled overall performance and complete reliability with a wide range of 12 gauge ammunition. Lone Star Arms custom high performance builds encompass and address the entire system. From tactical shotguns, to specialized applications, we will build to suit your needs, and shooting style. Call us today at 1-800-256-3367 to discuss your build, and place an order!